On Monday, July 23, Eaton County Deputy Sheriff’s Association (DSA) lost a treasured community member, Lt. Lawrence (Larry) Lee Treadwell. As a dedicated and passionate lieutenant in the Corrections Division, Treadwell greatly enjoyed giving back, life, laughter, and the people around him. Lt. Treadwell had a heart of gold and gladly served others before thinking about himself; he would even give the shirt off his back. In loving of memory of his wonderful dedication, Eaton County DSA created a t-shirt fundraiser to share their love and support for the Treadwell family. 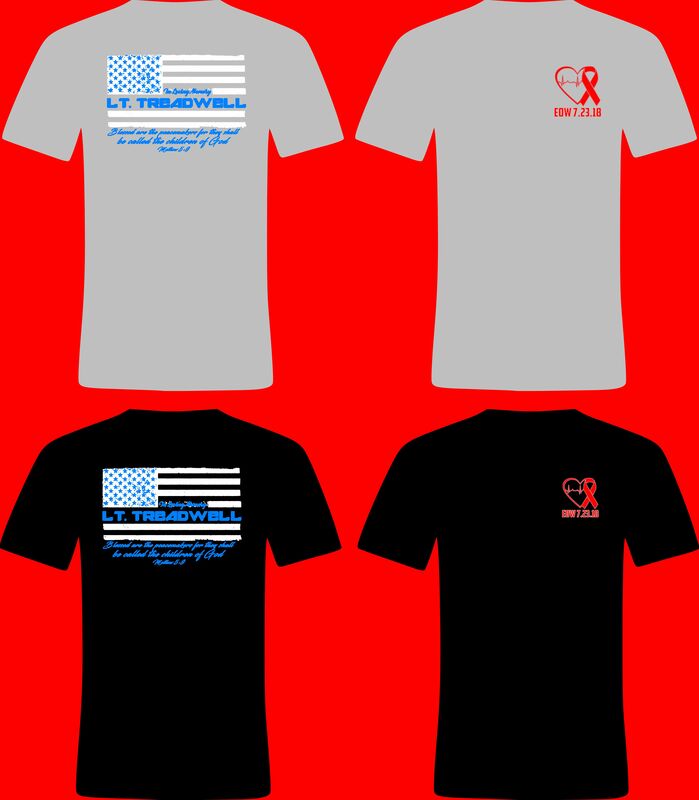 These t-shirts will remind Eaton County DSA, family, friends, and other close community members of the love and sacrifice Lt. Treadwell made towards his career and loved ones. All are welcome to help Eaton County DSA honor Lt. Treadwell’s legacy by purchasing a t-shirt. With two color options, the t-shirt represents Lt. Treadwell with heart and ribbon symbols and the American flag with a scripture. Lt. Treadwell’s legacy of love and sacrifice will live on with these custom t-shirts. Please fill out the order form below and return to Deputy Jessica Coe or Tammie Brand. Patrons can also email their order with the size, color, and quantity of the shirt to Deputy Coe. Cash or PayPal payments are accepted. If paying with PayPal, please contact Deputy Coe before ordering. NOTE: All orders and payments are due by Tuesday, August 14. If you have any questions or would like to contribute a monetary donation, please contact Deputy Coe via email.